Beside support for Bluetooth, one the other extra benefits of Espressif ESP32 over ESP8266 is the presence of a touch interface in the newer processor. 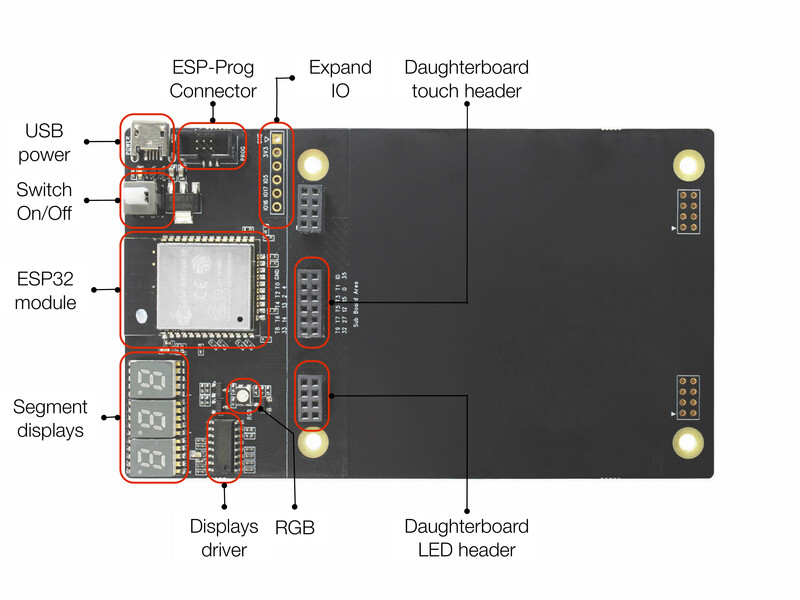 If you are interested in that specific features, Espressif Systems has worked on ESP32-Sense kit that provides a main board with ESP32, and several touch enabled daughter boards. Motherboard with ESP32 module (ESP-WROOM-32), a 3-digit display unit, a debug unit, USB port for power, switches, an RGB LED, and expansion headers. 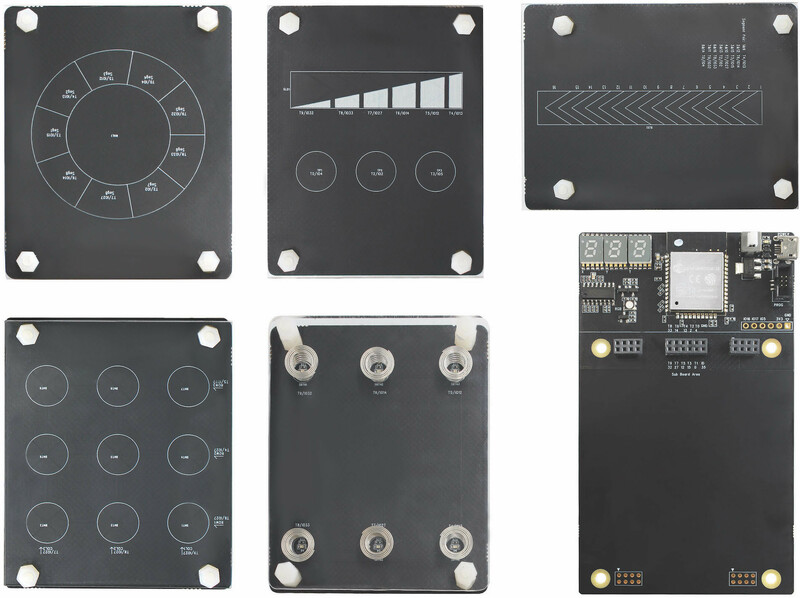 Developers could even design and add their own daughterboards to connect to the motherboard’s touch header. A good way to get started with your own board is to check out ESP32 Sense Kit reference design files with Cadence/OrCAD Capture V16.6 schematics, and Mentor Graphics/Pads VⅩ.2 PCB layout files. But if you are just interested in the software part, you’ll want to check out the documentation and related samples on Github. The getting started video below may also help. 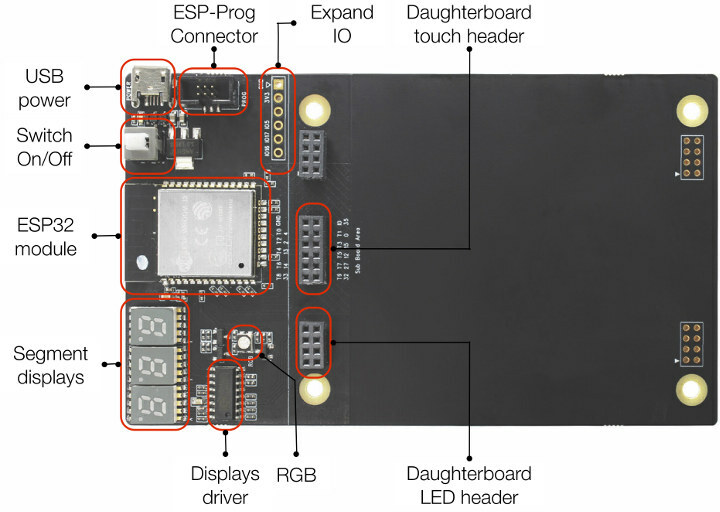 ESP32 Sense Kit with the motherboard and the 5 daughterboard can be purchased for $65.40 on Electrodragon. Thanks to Naresh for the tip. These sort-of remind me of the Digilent X-board CPLD + sensor modules.